This aerial forest adventure is fun, exciting and safe for all participants. We provide a harness and equipment and give you a safety briefing that demonstrates how to climb and zip line in the park. There are 13 separate trails of varying levels of difficulty. 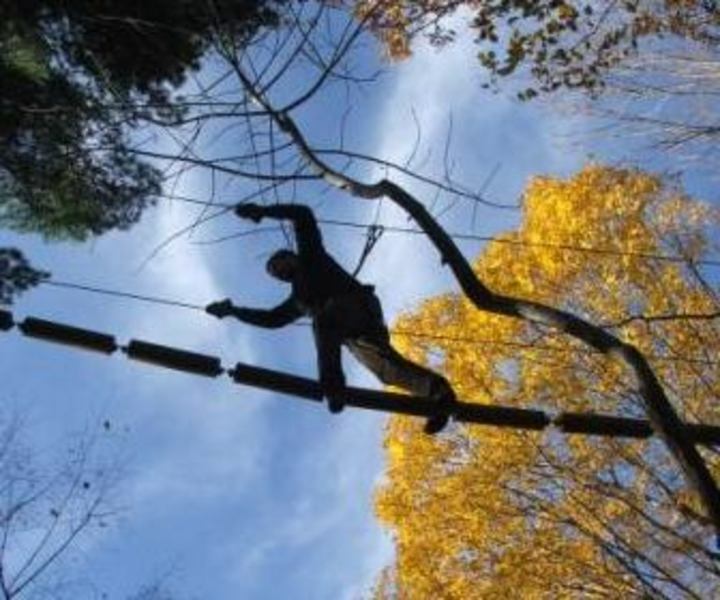 Each trail has zip lines but primarily consist of “bridges” between tree platforms made of rope, cable and wood configurations creating over 190 unique challenges.